Marco's durable laminate bookcases give you total flexibility in the classroom or office with a large selection of sizes and shelf options. Each of the bookcases come standard with 1" shelving. 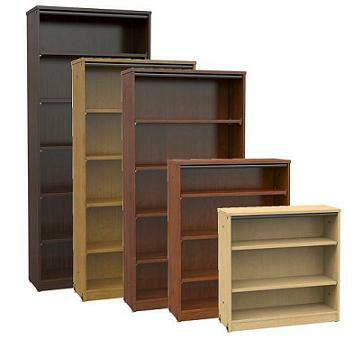 The sturdy bookcase units come with thermofused melamine construction in a large selection of colors with matching color or black edge banding.